1. 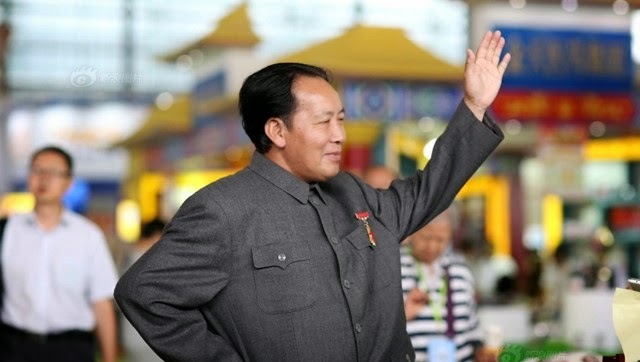 A Mao Zedong impersonator was the star of the show at a medical exhibition in Kunming, where the 'Chairman' was helping to promote pharmaceutical products. 2. Rates of preterm birth are as high as 10% in less developed areas of China such as Yunnan and are linked to poor pregnancy outcomes. 3. Metoclopramide appears to be a promising candidate for the treatment of patients with intractable hiccups, says neurologists from Harbin. 4. Many cases of avian H7N9 influenza may have slipped under the radar as the infection is often milder and unrecognised in children, according to respiratory specialists in Guangdong. 5. Increases in fine particulate matter pollution (PM2.5) in Beijing smog are linked to a 50% increase in mortality, a study has found. 6. A doctor was assaulted by police when he refused to sign a fake sickness certificate to allow the policeman time off work. 7. Only 17% of Chinese parents with HIV tell their children about their infection status, mostly because they fear the stigma (especially if they have been in a homosexual relationship).